WASHINGTON -- Vice President Mike Pence used private email to conduct state business while he was the governor of Indiana, his spokesman said Thursday night. The revelation came after the Trump campaign railed against former Democratic candidate Hillary Clinton for using private email and a private server to conduct State Department business. Clinton was not charged with a crime after she was alleged to have mishandled classified information, but was reprimanded by the FBI. Pence's office rejected the comparison to Clinton because Pence was not using a private server and handling classified information. According to the Indianapolis Star, which obtained emails in response to a records request, the notes included discussions of sensitive matters and homeland security issues, such as terror attacks and the state's response to them. ABC News has not obtained those emails, which the Star says were hacked last summer. "Similar to previous governors, during his time as Governor of Indiana, Mike Pence maintained a state email account and a personal email account. 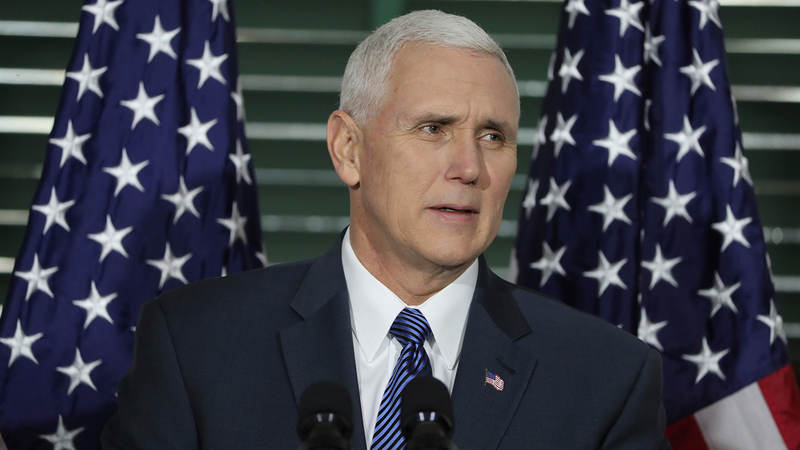 As then-Governor Pence concluded his time in office, he directed outside counsel to review all of his communications to ensure that state-related emails are being transferred and properly archived by the state, in accordance with the law, which outside counsel has done and is continuing to do," said Marc Lotter, Pence's spokesman. "Government emails involving his state and personal accounts are being archived by the state and are being managed according to Indiana's Access to Public Records Act." The emails were released to the Star from the current governor's office, but some were not released because of their confidentiality, the Star reported. According to the paper, use of the private email account is not in contravention of Indiana law. In late October, then-candidate Pence lauded the FBI for reopening the probe into Clinton's emails, according to ABC-owned station WPVI in Philadelphia. "The director of the FBI, James Comey, this afternoon, just sent a letter to the Congress reopening the investigation against Hillary Clinton and her private email server," he said. "We call on the FBI to immediately release all the email pertinent to their reopened investigation. The American people have a right to know, and they have a right to know before Election Day." The renewed probe ultimately did not produce new evidence against Clinton and the FBI maintained its earlier position, that a crime had not been committed.